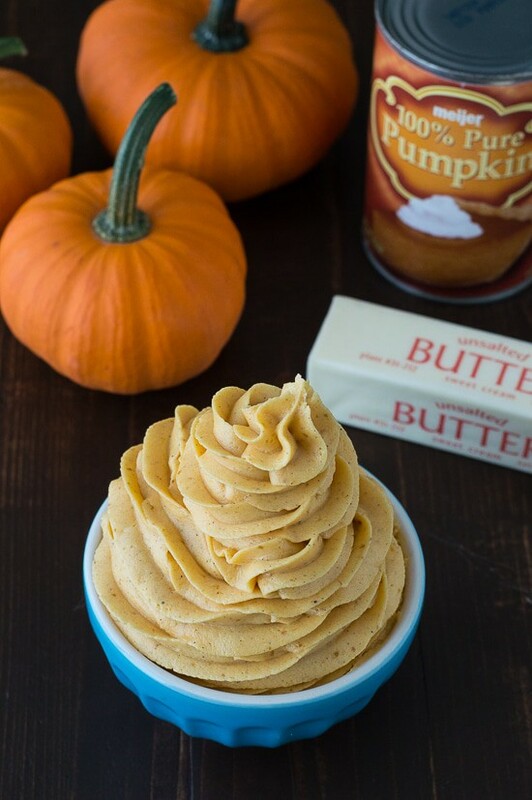 No fail pumpkin buttercream recipe with only 5 ingredients! But I didn’t always know how to make buttercream. Before I learned, I thought it was one of those super secret baking techniques that only skilled bakers knew. Like Martha Stewart. I even thought there was a specific recipe I needed to follow. I was so wrong! Any skill gets easier and becomes more natural with practice. Learning how to make buttercream is a great skill to have because it opens tons of doors in terms of flavors and pairing with cake. 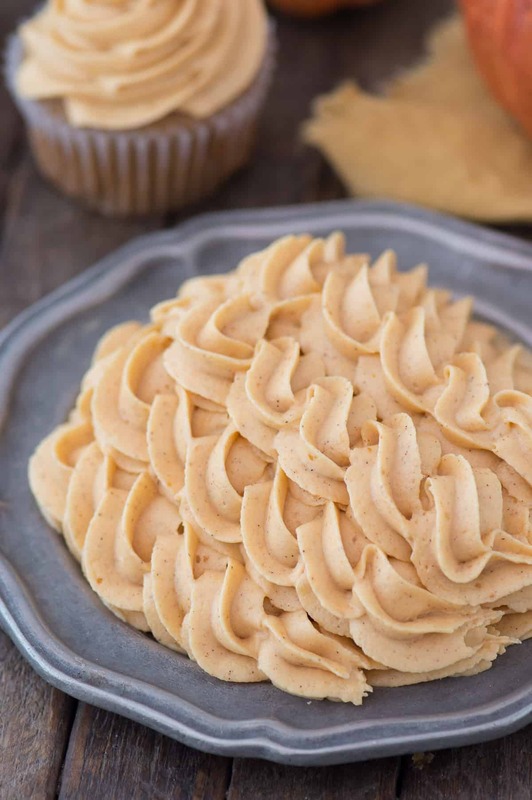 Today we’re sharing a recipe for pumpkin buttercream. 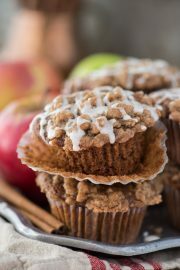 But you don’t really need to follow the recipe to a T. Add more or less powdered sugar or pumpkin pie spice depending on what you like. Use all butter or a combination of butter and vegetable shortening. But for all of those people out there who like following a recipe exactly, you can do just that! Buttercream is very easy to make and it’s adaptable, so even if you do mess up, you can easily fix it! 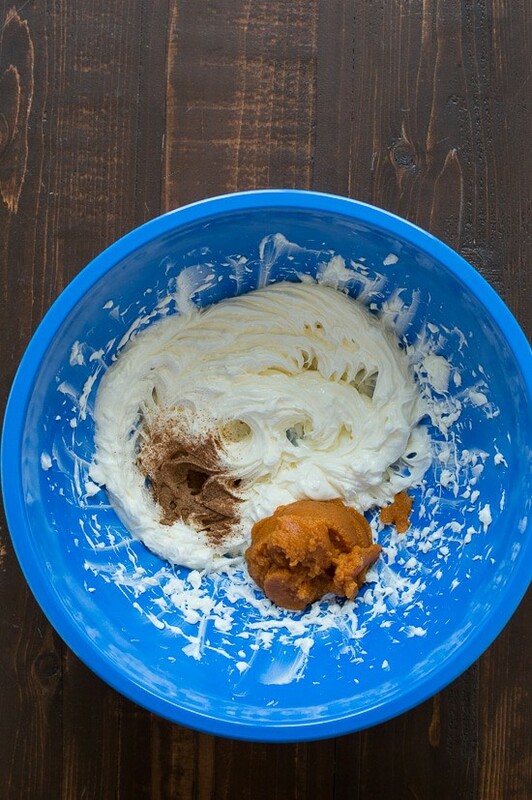 Let’s talk over a few common things that could occur when making pumpkin buttercream..
1. Oh no! My buttercream is too wet and just flops over! 2. 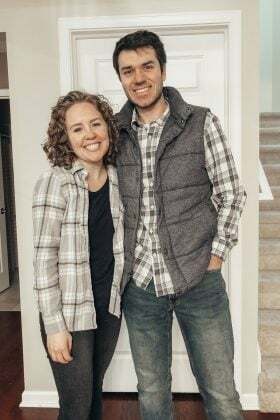 Ekk! My buttercream is too thick, it won’t easily come out of a piping bag! 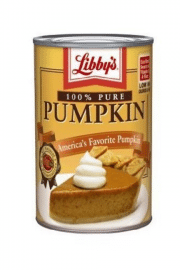 Solution: Add more pumpkin puree. 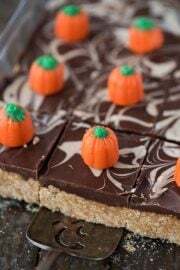 Since pumpkin puree is naturally moist, that will help put some moisture back into the buttercream. 3. Sheesh! This buttercream is dangerously good. Now onto the butter vs vegetable shortening debate.. I like using a combination of butter and shortening in my buttercream. 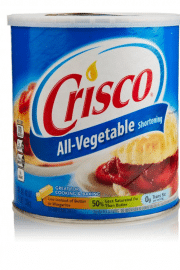 Vegetable shortening gives buttercream stability. 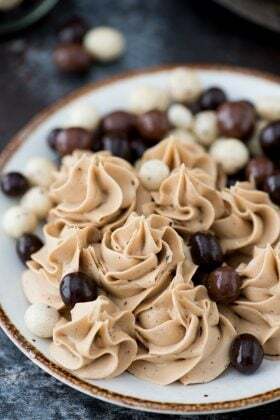 Using vegetable shortening in buttercream will definitely prevent it from being “floppy.” If you’re having problems with your buttercream staying in beautiful swirls after you pipe it on, consider using shortening next time. 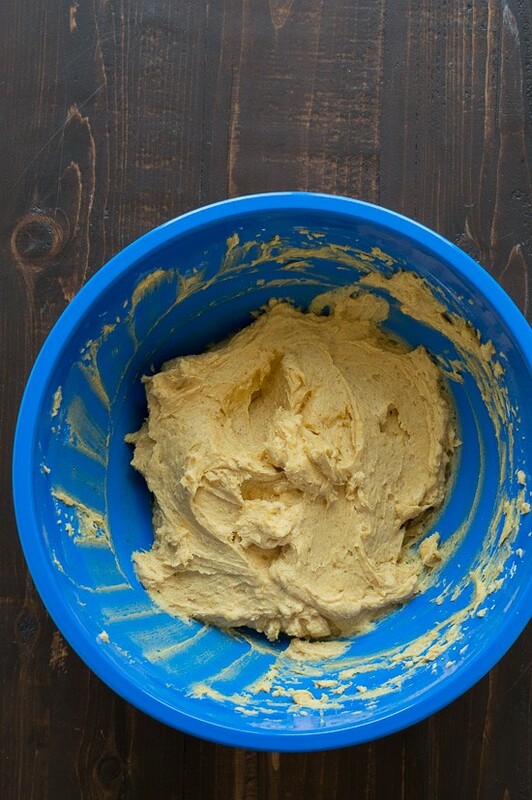 Start by placing room temperature butter and vegetable shortening into a mixing bowl. 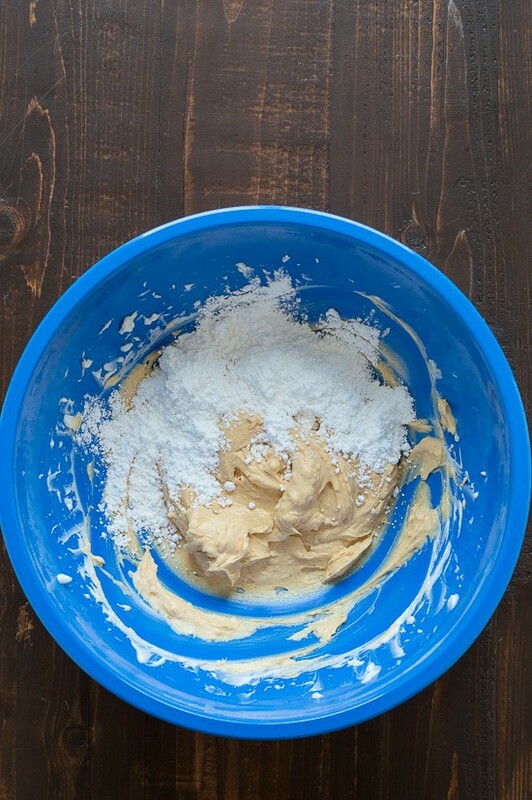 Beat them together using an electric mixer until smooth, 1 minute. 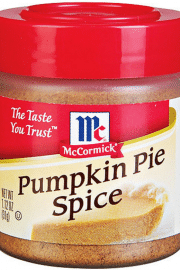 Add in the pumpkin puree and pumpkin pie spice. Mix using a spatula. Add in the powdered sugar, 1 cup at a time, mixing with a spatula at first so the powered sugar doesn’t puff up everywhere. 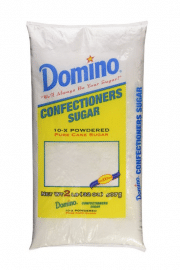 Once all of the powdered sugar is incorporated, beat the buttercream using an electric mixer, 1-2 minutes. 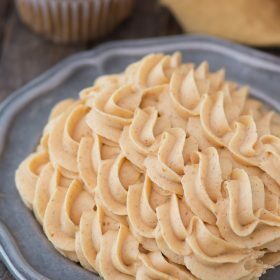 Pumpkin buttercream is terrific with chocolate cake, classic white cupcakes, and pumpkin cupcakes. 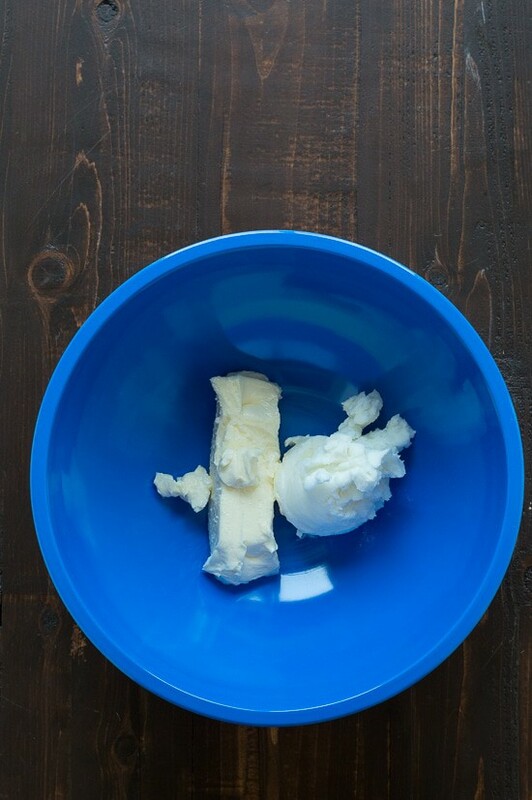 Place room temperature butter and vegetable shortening in a mixing bowl. Beat them together using an electric mixer until smooth, 1 minute. Add in the powdered sugar, 1 cup at a time, mixing with a spatula at first so the powered sugar doesn’t puff up everywhere. Once all of the powdered sugar is incorporated, beat the buttercream using an electric mixer, 1-2 minutes or until smooth. To frost a 6 inch 3 tier cake, double the recipe. To frost a 8 inch 3 tier cake, triple the recipe. 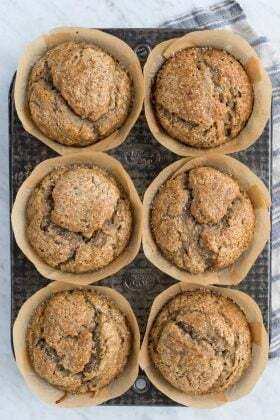 To frost 12 cupcakes, you could get by with the original recipe, otherwise increase the recipe by half. To frost 24 cupcakes, double the recipe. I always like to err on the side of having leftover buttercream. Plus, I pipe a lot of buttercream onto each cupcake. Haha, I wish I can dream about making buttercream in my sleep, too! One day, I’ll be an expert buttercream maker like you! Thanks for the tips, Beth! That buttercream looks awesome! I can just imagine all the things I’d put this on! 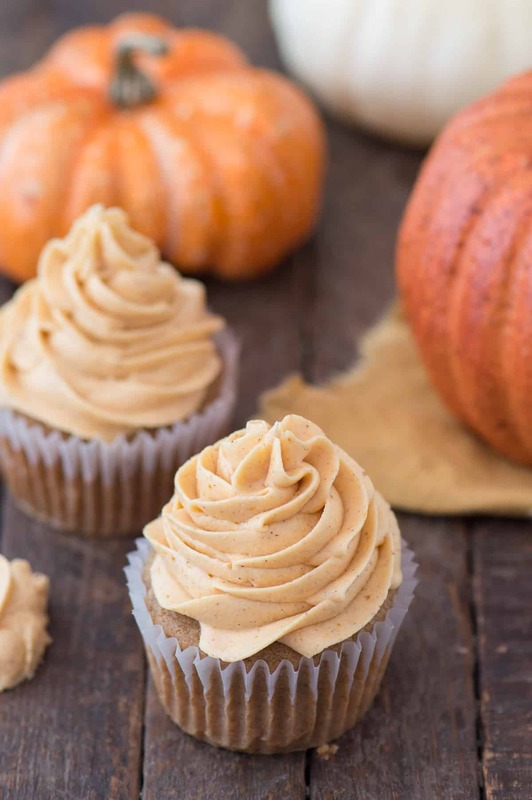 I love a good pumpkin buttercream! Pumpkin buttercream is the best! Can’t wait to try your variation! Can I eat this with a spoon?! I’ve never made buttercream before but I imagine it tastes so much better with pumpkin! It sounds delicious! If I make this it would never actually make it onto a cake. I would just eat it with a spoon! :) Looks great! Once the cake is frosted, do you have to refrigerate it or can it sit out overnight? It taste so good. Yummy. Thanks for sharing. If you want to let it sit out overnight, I’d loosely cover it with plastic wrap! Love it youmake everything so easy to follow .Its easy to understand and then you show us what to use. Your an angel. I’m glad it was easy to follow! Yes, I love how easy it is!! Hi Brittany! Are you wanting to freeze the cake with the frosting on it? 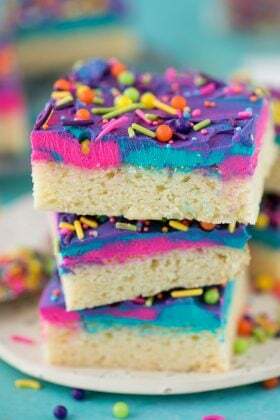 I have never frozen a cake with buttercream on it for a long period of time, but it freezes well for short periods so I am thinking it would be okay! I work for a mobile catering/ vending company and I think this frosting would work well for some of our desserts but I need to know the conversion from 1 stick of butter to one pound of butter. Is there any way you can help me out with this. Thank you in advance. I plan on making cupcakes for my office Halloween party. 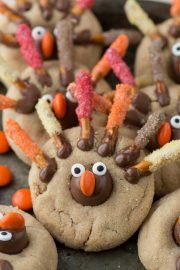 I am definitely making this for the frosting! Can I make this and frost the cupcakes the night before or does it have to be refrigerated?